Ukraine had been on my travel bucket list for a long time. Unfortunately, I had always put off visiting there because there were always other places that I wanted to get to. However, I knew deep down and believed that I would eventually get to Ukraine someday. I didn't know when it would happen, but I knew it would happen sooner or later. I finally had the opportunity to visit in September 2016. When I first visited Ukraine, I was not sure what to expect. Much to my surprise, I found Kiev to be a very beautiful, picturesque, and cheap city. To be honest, it was really not what I was expecting. I was expecting to see a rather drab and characterless city that could be classified as a throwback to the Soviet era. Instead, I was pleasantly surprised and found a beautiful and vibrant city that offered a lot for a visitor. I especially enjoyed visiting the Kiev Pechersk Lavra, which is a monastery complex that houses the remains of various Orthodox monks. Pictures were not permitted inside, but it was certainly my favorite part because of its uniqueness. Kiev certainly impressed me, and I would definitely like to return to explore more. 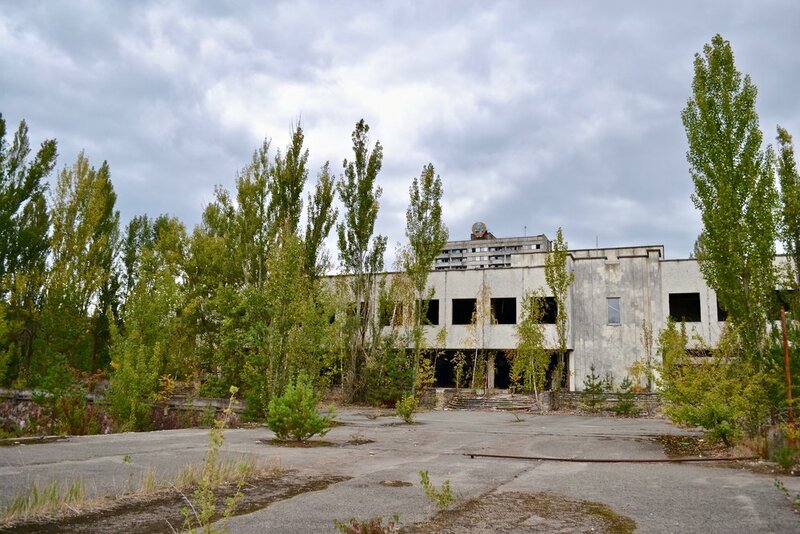 However, the absolute must-see place in Ukraine is the Chernobyl Nuclear Power Plant and the irradiated and abandoned town of Pripyat, which lies inside the Exclusion Zone, which is the area around the power plant. This was my main goal during my visit to Ukraine. I really wanted to see the site of the 1986 Chernobyl disaster. Now, I am well aware that this aspect of tourism, known as "Dark Tourism" is controversial. Some people believe that one should not visit places which have a focus on death or tragedy. However, I see it completely differently. I believe that visiting places, such as Chernobyl, the Killing Fields in Cambodia, Auschwitz in Poland, or other places where bad things have happened allow someone to get an up close and personal experience that can never be learned about in a book. Based on my own personal experience, I can say that when I see these things in person, I learn more about it than I would ever in a book, and it helps give me a better understanding and different perspective on the events that transpired. My tour to Chernobyl and Pripyat was through a company called Solo East Travel. On the day of the tour, I first met the rest of the group and tour guide at a predetermined meeting place at Maidan Square in Kiev. Because of the uniqueness of the tour and the fact that the area we were going to be going into was still irradiated even after 30 years, some rules were explained and had to be followed (photo on right). Among some of the rules that were given was not to take anything outside of the Exclusion Zone, not touch anything, not sit on the ground, pass through required radiation checks, and of course, not wander away from the guide, especially in the town of Pripyat for safety purposes since many of the buildings are in an advanced state of decay. The drive to Chernobyl went off without any issues. In order to give us a history and background, the tour guide played a video about the history of the area with a focus on the disaster in 1986. Upon reaching the Exclusion Zone, we were told that many buildings and smaller structures that made up smaller villages had been deliberately destroyed. The buildings that remained were completely abandoned and falling apart. In a few places, we stopped to check out the remains of a community center, a store, and a kindergarten. Originally, these places were surrounded by other buildings, but over time, the natural vegetation took over. Now, these buildings are all seemingly isolated from each other, and it was a bit difficult to see the paths that used to be sidewalks. It would not have been possible to know there was a town there had I not been told. It is important to note that while these buildings are abandoned, decrepit, and falling apart, there has also been human interaction. Even though the disaster happened 30 years ago, people have been coming in either individually or in groups outside of official tours and moving things around, stealing items, and breaking items. Thus, the pictures tend to show somewhat vandalized areas. One of the first stops we visited was the Duga 1 Radar. During the Cold War, the US and Soviet Union were constantly under the threat of attacks from each other. Thus, the Duga Radar was one of two anti-ballistic early warning radar systems. While the system is now defunct, we were able to see the rusted remains of it. I have to admit, it was quite fascinating to see and stand in front of. One cannot really get an idea of how large it is until it is seen in person. Upon reaching the Chernobyl Nuclear Power Plant, we got to see the site of the infamous accident. This tour was not scheduled to go inside the power plant, but we were able to get an excellent view of nuclear reactor #4, which is where the accident occurred. My visit was just in time. As is well-known, the giant cover (sarcophagus) that was placed over the exposed reactor shortly after the disaster has been falling apart because of the immense radiation and hasty construction. During my visit, it was possible to see the new sarcophagus cover that would be slid over the existing one. After visiting the Chernobyl Nuclear Power Plant, the tour headed to the abandoned town of Pripyat. Originally, Pripyat was occupied by workers of the power plant and their families. The town was a fully-functioning place with all the trappings of a regular place to live and work. It had stores, apartments, and all the amenities that one would expect to find in any town. However, after the disaster, the people were evacuated, the site was abandoned and left to nature. The visit to Pripyat was the part I was most looking forward to. I had seen different documentaries and read about the town many times before and saw the pictures, but I wanted to see it for myself. I was certainly not disappointed with what I saw. The town is definitely falling apart as evidenced by the lack of care and maintenance. All over the place, trees and foliage were making their way through cracks in sidewalks and growing inside various buildings. The guide led us to several different places. Among the places we entered was a public swimming pool that was used by liquidators during the cleanup, a school, and a public auditorium that still had large posters of Soviet leaders from the Ukrainian Soviet Socialist Republic laying against the wall. For me, the school was the most interesting part of the visit. Like other buildings, the school was decrepit and completely falling apart. During the visit, it was possible to see the gymnasium with a pommel horse inside, and in several of the classrooms, I could see chalkboards with the famous saying of Vladimir Lenin, "Learn, Learn, Learn" printed on the walls in front of the classrooms. As I wandered through the hallways of the school, there were hundreds of old books that were thrown all over the place (most likely by vandals). In a way, they were time capsules of sorts. One in particular showed how children of the Soviet Union dressed in the trademark red scarf and white shirt. There were also textbooks featuring different images of Lenin. It was not difficult to imagine what this school looked like during its heyday before the disaster happened. During the visit to Pripyat, we also saw the famous amusement park that was built but never used. The Ferris wheel and bumper cars were completely abandoned and had not been in working order for 30 years. Throughout the whole visit, I tried to imagine what this place looked like at night when everything was silent and only animals were present. If someone wanted to make a horror film here, this would be a perfect location because of the eeriness and seeming lack of life that permeates the area. Once our tour concluded, we headed back to Kiev. Of course, to make sure we were not contaminated, before leaving the Exclusion Zone, we all had to go through a mandatory radiation check. We all went into a room near the edge of the Exclusion Zone and stood at a machine then walked through it. If the machine beeped, it meant a decontamination was necessary. Overall, my visit to Chernobyl and Pripyat was probably one of the most unique places I had ever visited. The town of Pripyat is a veritable time capsule of a time that has moved into the annals of history. 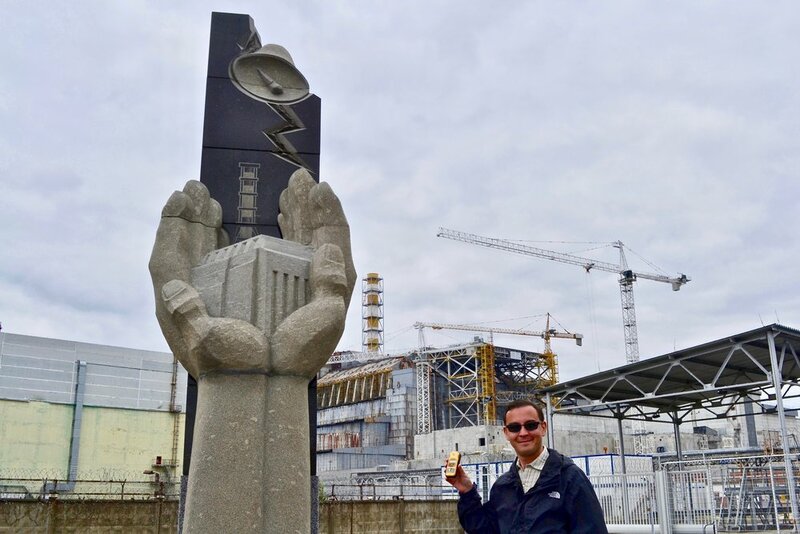 As I walked around the place, history came alive for me, and it was a lot easier for me to gain a perspective and understanding of the nuclear disaster, and the effect it had on the surrounding area. It was not difficult for me to imagine how a citizen of the Soviet Union lived and worked here at one time. Even though the vegetation was very heavy in the area, it was clear that it was stillirradiated and would continue to be that way for years. However, it was fascinating to see that despite being contaminated with radiation, the vegetation did return and nature was slowly reclaiming the city. I can only imagine what the town will look like in another 30 years. Please enjoy the photo gallery. All photos were taken by me using a DSLR and iPhone.